First up on this week’s show, Bitcoin keeps marching on, and it seems institutional money is behind its buoyancy. BlackRock, LedgerX, Wall Street - why it’s good news that everyone’s got an opinion on Bitcoin right now. The guys also dissect the Tezos story and ask: is it possible to raise too much money? With speculation that Tezos attracted nearly $300 million under a foundation model in Switzerland, the guys discuss how the situation will unfold. Meanwhile, with news that the Commodities Futures Trading Commission (CFTC) has aligned itself with the SEC in determining that ICOs can be commodities, are we seeing an emerging consensus towards blockchain in the US? 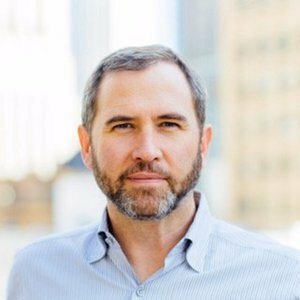 Plus, we have a guest appearance from Fintech Insider’s Sam Maule, who caught up with Brad Garlinghouse, CEO of Ripple, at Swell – Ripple’s payments conference – last week. Also on today’s show – how £11 trillion in derivatives is getting closer to the Blockchain; why Microsoft CEO Satya Nadella challenged Swift to build useful Blockchain applications; R3’s patent application; mining for charity; and much more. Refund for the Tezos ICO - Restis Law Firm, P.C.